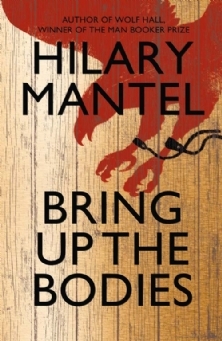 Last night in London the winner of 2012 Man Booker Prize was announced and it was Bring Up the Bodies by Hilary Mantel. Not exactly a surprise as she was the best known of the authors in the list and had won the Booker in 2009 for her book Wolf Hall. Customers keep asking me if I have read Bring Up the Bodies but I have to confess that I haven't read Wolf Hall yet, despite a love of historical fiction. Now, I think I better move them both to the top of my reading pile. For those who have already read them, do I need to read Wolf Hall before Bring Up the Bodies?